This isn’t precisely a “Novena” because it is 26 days from the Feast of St. Andrew on November 30, until Christmas Day on the 25th of December. “Andrew” is my Confirmation name. So I am Ann Elizabeth Andrew. Andrew means “manly” in Greek. I did not know that at the time. 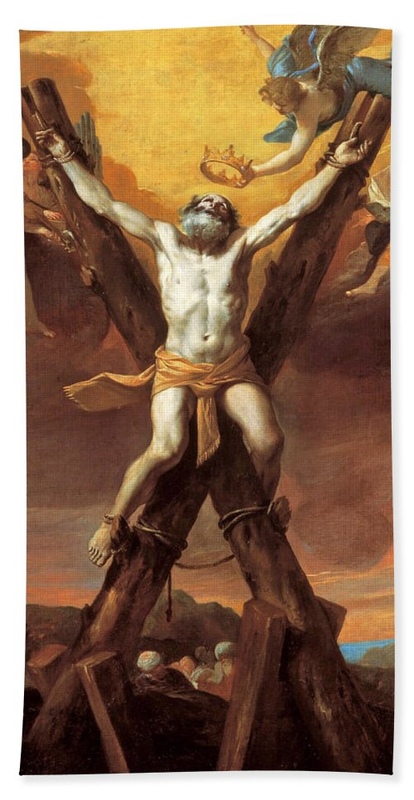 I like to think that St. Andrew, being St. Peter’s big brother, would defend Peter in a street fight, which is definitely what this feels like. Anyway, I propose that we crowdsource this Novena for all the folks out there who need to either convert or revert to the One True Religion, and for the Pope, Pope Benedict XVI, and also for the antipope, Jorge Bergoglio. It isn’t too late, even for him. The prayer itself is short, but the traditional method is to say this prayer 15 times per day every day until Christmas. You could do five sets of three, three sets of five, anything to get you to fifteen per day.